Ariana Franklin is actually Diana Norman an author whose books I've enjoyed for years - my favourite being The Vizard Mask. She writes historicals and Mistress of the Art of Death is no exception apart from the fact that it is also a crime novel. Think Cadfael or the Shardlake novels by C.J. Sansom and you have it. The story concerns Adelia who is something very rare indeed in the year 1170, a doctor. In fact she is a doctor trained in autopsies, a 'Mistress of the art of death'. Children are being abducted and murdered in Cambridge and the Jewish quarter is suspected. In fact they've been interned in Cambridge castle, which means that Henry II is losing revenue and is not a happy bunny. The King of Sicily arranges for Adelia to travel from Salerno with an investigator and a eunoch to find out what's going on and solve the crime. What Adelia finds when she eventually arrives in a land very foreign to her, shocks her, and it takes every bit of her resolve and then some to get to the bottom of events. Almost without doubt this is going to be one of my favourite reads of 2007. Everything about it was perfect from the setting, to the less than perfect characters, to the genuine creepiness Franklin instils into the plot. I found myself actually holding my breath on several occasions, the suspense was so effective. Flawless writing helps of course - Franklin's writing is at times spare, at other times, not at all, but always appropriate. And her gift for local dialect is spot on. I can't think of anything derogatory to say about it to be honest - the only thing perhaps is that I did guess 'whodunnit' fairly early on but that in no way detracted from my enjoyment. I do so hope this is going to be a series as I would love to read much more of Adelia's struggles amongst the heathens of 12th. century England. Okay well, another day, another er... book challenge. 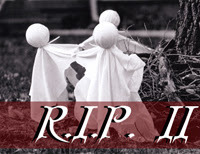 I'm a bit of a fan of horror books, old ghost stories etc., have been for years, even though I don't read that many these days, so the R.I.P. II challenge is right up my street. "Read Four books of any length, from any subgenre of scary stories that you choose." These have to be read between the 1st. September and the 31st. October. as my additional book as and when I can get hold of a copy. Jamaica Inn - which I read so many years ago I can remember little about it so it will feel like a new read. Edited to add: The Mystery of the Sea is on the way and The Historian by Elizabeth Kostova has been added to my pool of books. Mistress of the Art of Death by Ariana Franklin after abandoning my last read. Um, I really didn't enjoy Paradise Lost when we had to read it for A level. It very much depends on the person. Most RL people I know don't read much or are firmly entrenched in their favourite genres. Online I tend to recommend The Black Magician trilogy by Trudi Canavan and The Abhorsen trilogy by Garth Nix to fellow fantasy fans who tend not to have heard of these Aussie series. Both are excellent. No, not here in this town but they did in our previous town because my youngest daughter worked there. Yes, I recommended Fingersmith by Sarah Waters to a friend and she absolutely hated it. It was too dark for her, whereas I kind of like dark from time to time. I should have known she wouldn't like it and am more careful when reccing books to people now. Much as I hate to be predictable - Harry Potter and the Deathly Hallows. One thing I really hate is to be within a dozen pages of finishing but you just can't keep your eyes open long enough to finish this fantastic book. It's never the same the next morning. When it comes to books I don't tend to be a quitter. I plod on to the bitter end even when the book is a real turkey. But I've started to think this is stupid. Life's too short to spend precious reading time on something that's not worth my attention or maybe is but just doesn't suit my mood at the time. So I've turned over a new leaf (groan). I've been struggling with a book called Captain Hatteras by Jules Verne for four days now. I grabbed it from the library when I saw it was both nautical and about the arctic - both of those things being right up my street. Also I'd never heard of this particular book by Verne but had enjoyed others by him... admittedly many years ago. Anyway, it took me four days to read eighty pages and yesterday I finally conceded defeat and abandoned the thing. I've no idea what the problem was but it was boring me stupid. I think I was hoping it would be along the lines of Redburn by Herman Melville which I read a couple of months ago and thoroughly enjoyed. It wasn't. Not even remotely. I suppose if I like Herman Melville I should read Herman Melville... and not Jules Verne! And I also need to learn that it's okay to stop reading a book if it's not engaging my interest - as Oscar Wilde said, 'Life's too short to stuff a mushroom'. So then it was time to choose something else to read. I'm so bad at this. The reason being that I buy so many books and thus my tbr pile is massive. I also use the town library on a regular basis so nearly always have 6 to 8 library books to choose from. And I'm nothing if not indecisive... choosing my next read causes me agony. Again the problem is with me in that I enjoy too many genres and am never quite sure which I'm in the mood for... fantasy, travel, cosy crime, historical, a Persephone, an autobiography; life would be so much simpler if I just read crime books or romances! Anyway, to cut a long story long I chose in the end. I'm eighty pages into this one in one day and it's utterly brilliant. It's Mistress of the Art of Death by Ariana Franklin... a favourite author of mine under her other writing name of Diana Norman. She usually writes historicals and this too is an historical but also a crime story - set in 12th. century Cambridge. There are shades of Ellis Peters' Cadfael and the feel of C.J. Sansom's Shardlake novels and the writing is, as always from this author, fabulous. I love it already and am looking forward to a really good wallow while my husband is away this week. This is one of those legendary series of books that I always thought, for some reason, were heavier reads than they actually are - if this first one is anything to go by anyway. Not sure why I thought that. But it turns out it's rather like 1970s chicklit. And why 'legendary' I'm not sure either - it was fun but nothing spectacular, imo. Briefly, it starts with Mary Ann, a PA from Cleveland, deciding to settle in San Francisco. She's rather green but soon settles into Mrs. Madrigal's boarding house, gets a job and meets all kinds of people. That's it basically. It's interesting the way Maupin ties a large cast of characters to each other without the others knowing, bit like the Six Degrees of Kevin Bacon game. And I liked the small chapters dealing with different people. One thing that did surprise me was how gay San Francisco was in the 70s - I thought that was a later thing. Certainly then this is a pre-AIDS city - if you get my drift. A fun read - there are at least half a dozen more but whether I'll bother I'm not certain; only if I happen to see them in the library (where I found this one) I suspect. Who can say what strange urges come upon you when you suddenly *have* to reread a certain book? And it's no use ignoring them - not even chocolate drives them away! 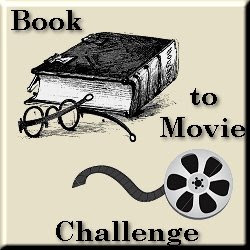 With me, last week, it was The Hobbit by J.R.R. Tolkein that demanded my attention. Most people know the plot so I won't go into loads of detail - Bilbo Baggins is *chosen* by Gandalf the Grey to go on an adventure with thirteen dwarves. The mission (should he choose to accept it) is to retrieve the dwarves' treasure from the clutches of Smaug the dragon, who has taken possession of it inside The Lonely Mountain. Lots of fun this one... my favourite bit being the rather creepy section where they travel through Mirkwood and encounter the wood elves. A good, enjoyable read leading to a reread of The Lord of the Rings, next year maybe. Sometimes a book is so good you've no idea how to do the thing justice. I read Out Stealing Horses by Per Petterson (translated by Anne Born) for a 'Book-in-a-day' challenge on Live Journal. So it's not very long - 266 pages - or I would never have been able to finish it in a day. But the impact it packs into those few pages is immense. The book is in set in Norway in the present day but there are flashbacks to 1948. 'Trond' is now sixty seven and has moved to a small village on the edge of the forest to be alone. He then discovers that a near neighbour is someone from his childhood, from a summer he spent with his father, in 1948, in another small village near the Swedish border. It brings back memories of traumatic events and we are fed information very slowly because that's what the book is - an unhurried recollection of certain happenings, some concerned with WW2, some just after, and some simply about a boy growing into manhood. The writing here is just fabulous - I'm sure some credit should go to the woman who translated but it is honestly beautiful, so descriptive and at the same time gentle and unhurried and not at all spare. I liked this novel a *lot* - I don't read a great deal of modern literature of this type so this is praise indeed coming from me. Judging by this I should definitely read more. "Is this big enough?" said my husband when I asked if we had any tomatoes in the greenhouse for lunch. It weighed in at 15ozs and just one slice covered a bread roll. And, just for the record, it was delicious. I was inspired to seek out Lighthouse by Tony Parker after reading Stargazing by Peter Hill, last month. It kindled an interest in lighthouses or possibly *re*kindled as it's always been there - me being a good Cornish girl. ;-) Anyway, Amazon threw up this book when I searched the other as being something along the same lines to read. I then searched Devon's library catalogue and found they had a copy in Dawlish so off I went to claim that. And I'm glad. It's taken me a while to read but it was a fascianting book and I'm pleased I made the effort. "It's not one gale, it's not two gales, it's not twenty gales tied together by their tails that frighten you. It's what comes after, when the wind's had two or three days to put a thousand miles of ocean into motion and turn it into what's called a heavy ground sea. That's what it is makes you afraid. It rolls the boulders along with it that are down there on the sea bed; and when it strikes them against the base of your tower the whole place quivers from top to toe. You can hear them, you can feel them: thump, thump, thump, being thrown like that under the water against the foundation, rolling into it one after the other and making the tower shake: and you shake with it too, like all your teeth are going to be rattled out of your head. On and on it goes, on and on. And each one you feel you think it can't take one more thump like that, the next one for certain will be the one that brings the place down with a crash, and that'll be the end. He'll have to have that experience to teach him to know the meaning of fear." Anyhow, an excellent read - I very much enjoy stories of people's lives simply told. I'm planning to seek out more lighthouse books, maybe something about the history of them next... and possibly some fiction if I can find any.